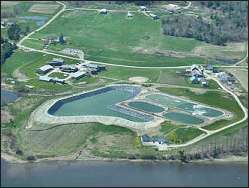 The 2004 recipient of the annual Richard B. Goodenow Award is responsible for the operation and maintenance of a .35 MGD aerated lagoon wastewater treatment facility, 2 pump stations and 12 miles of sewer collection system. The district employs 3.5 people (a Superintendent, a lab technician, an operator and a part-time book keeper). During the tour, interview and evaluation process for the Goodenow Award, it was clear to the awards committee that the district has an outstanding facility with excellent operators that give special attention to housekeeping, preventive maintenance and improving compliance. This facility rated very high in all eight categories used to evaluate each applicant for the Goodenow Award. • In the early 1980’s the district started sewer separation projects in their downtown area to eliminate inflow and infiltration from the sewer collection system and funded the work with local money. The sewer work was performed without excess pressure from any regulatory agencies with the intent to remove access water prior to construction of a WWTP and was notable because the District felt it was the “right thing to do” for the environment. During the sewer separation projects the District installed ductile iron pipe, "so they wouldn’t have to worry about them again" and now the District’s sewer collection system is totally separated with little or no I&I entering the treatment plant. • In 1989 the district constructed a 0.35 MGD aerated lagoon treatment plant funded with state, federal and local money. 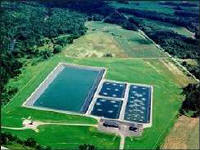 From the beginning the facility operators were unhappy with the quality of the effluent they were discharging. The operators were told by some that this is an aerated lagoon system and these are the numbers you should expect to see for BOD and TSS. By the mid 1990’s the facility operators could no longer accept a mediocre effluent quality so they took it upon themselves to find some way to improve the quality by implementing an in-house sampling and analysis program. The program was setup to collect samples from several predetermined locations from throughout the lagoon system and they perform TSS, BOD, CBOD, ammonia, nitrate, nitrite and phosphorous analysis on each sample. 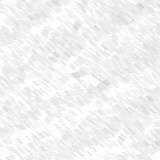 All the sampling, analysis, data collection and results evaluation was performed in-house. Through their efforts the operators discovered that the less than acceptable effluent quality was being caused by nitrification in the lagoons. They proved that as the wastewater passed through several aerated lagoon treatment processes there actually was an increase in BOD caused by nitrification. The information that was gathered during the increased sampling project was used to help design a $1.7 million dollar facility upgrade that was completed in 2001 with a low interest SRF loan. The effluent quality has now improved to where single numbers for BOD and TSS are discharged on a daily basis. • One of the very important programs that started as a result of what was learned from the district's sampling program and discovery of nitrification in the lagoons was a lagoon task force. In 1995 MEDEP established a lagoon task force which included representatives from MEDEP, engineering consulting firms and lagoon treatment plant operators, which included operators from the district that is receiving the Goodenow Award. Shortly after its formation almost all the lagoon systems in the state were visited by members of the task force. It became apparent to the task force that training was one of the most critical needs for lagoon facility operators. At this point the task force decided to expand their mission to include training for all lagoon treatment plants in the state and they created a annual lagoon training day. Now, each year lagoon treatment plant operators get together at different facilities for tours, training, networking and sharing of information. Today, as a result of the formation of the lagoon task force, state lagoon treatment plant operators receive sufficient training opportunities which has helped them improve the operation and maintenance of their facilities. The operators from this district were charter task force members and very instrumental in the success of the lagoon task force and continue be active participants in the annual training day Additionally, this district is very active in their community where they are involved with education programs in several classes from K through the 12 grade and perform 10-15 plant tours per year. Also all the operators are licensed and are very active in training operators from other lagoon facilities. Since the upgrade completed in 2001 their compliance has been excellent and they are currently working to improve their safety program by rewriting all their in-house safety policies. 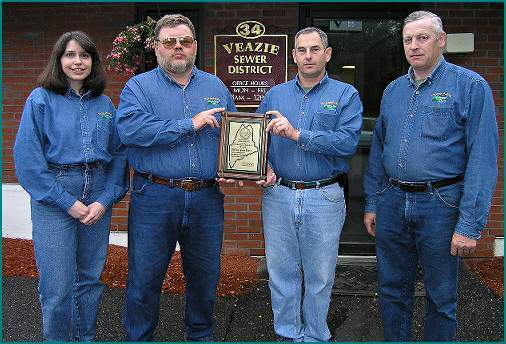 The 2004 Richard B. Goodenow Award for excellence in operations and management of a municipal wastewater treatment plant in the state of Maine was presented to Gary Brooks and the staff from the Veazie Sewer District.